For other battles of Arras, see Battle of Arras (disambiguation). Army Group A (Generaloberst Gerd von Rundstedt), defeated the French at the Battle of Sedan from 12–15 May and crossed the Meuse. A French counter-attack at the Battle of Montcornet on 17 May by the 4e Division Cuirassée de Réserve (4e DCR, Colonel Charles de Gaulle), from Montcornet to the south, was defeated by an improvised defence and the 10th Panzer Division, which was rushed forward on the French flank. The German counter-attacks were supported by Fliegerkorps VIII (Generaloberst Wolfram von Richthofen) and the French lost 32 tanks and armoured vehicles. On 19 May, after receiving reinforcements, the 4e DCR attacked again and was repulsed with the loss of 80 of 155 vehicles, much of the loss being caused by the aircraft of Fliegerkorps VIII, which attacked French units assembling to attack the flanks of German units. By the end of the Battle of Montcornet, much of the French Ninth Army on the Meuse had disintegrated under the attacks of Fliegerkorps VIII. German spearheads broke through the Peronne–Cambrai gap and threatened Boulogne and Calais, cutting the lines of communication of the Allied armies of Groupe d'armées 1 (General Gaston Billotte) in the North-East Theatre of Operations (Général d'armée Alphonse Joseph Georges), separating them from the main French armies south of the Somme. On 19 May, General Edmund Ironside, the British Chief of the Imperial General Staff, conferred with Lord Gort, commander of the BEF, at his headquarters near Lens and urged Gort to save the BEF, by attacking towards Amiens to the south-west but Gort had only two divisions available for an attack. Ironside met Billotte, finding him apparently incapable of taking action. Ironside returned to Britain and ordered urgent anti-invasion measures. On the morning of 20 May, General Maurice Gamelin, the Commander-in-chief of the French armed forces, ordered the armies trapped in Belgium and northern France to fight their way south, to link up with French forces attacking northwards from the Somme river. On the evening of 19 May, the French Prime Minister Paul Reynaud had sacked Gamelin and replaced him with General Maxime Weygand. Weygand cancelled the orders and after a delay, ordered a similar counter-offensive from the north and south against the German "corridor", to break the encircled armies out of the pocket. Frankforce was to hold the line of the river Scarpe to the east of Arras with the 5th Infantry Division, while the rest of the force attacked to the south of Arras and the new French Third Army Group (General Antoine-Marie-Benoît Besson) attacked north from the Somme. The 7th Panzer Division had captured Cambrai and advanced to the area south of Arras. For 21 May, the division was ordered to wheel west around Arras and attack to the north, capturing crossings over the Scarpe at Acq, a risky manoeuvre since the right flank would be vulnerable to a counter-attack from Arras. The 5th Panzer Division (Lieutenant-General Max von Hartlieb-Walsporn) was to attack so as to relieve pressure on the 7th Panzer Division (the division was delayed and never managed to fulfil its orders). Rommel ordered Panzer-Regiment 25 to probe towards Acq 6.2 mi (10 km) forward with two motorised infantry regiments to follow later, which left most of the division without tanks. Rommel led the advance but returned around 4:00 p.m. when the infantry failed to arrive and at the positions of Schützen-Regiment 7 (Fusilier or Rifle Regiment), found himself under attack by tanks and infantry. Georges ordered General d'Astier de la Vigerie, commander of Zone d'Opérations Aériennes Nord of the armée de l'Air to support the British attack but sent no details of the attack front, no targets and no zero hour for the attack. 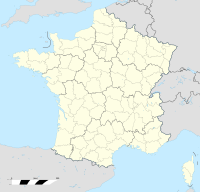 D'Astier was also unable to contact the First Army headquarters or the HQ of the Air Component RAF of the BEF, which was out of action, as it was moving back to bases in England. French reconnaissance aircraft were shot down or chased away until 4:00 p.m., when aircraft got through to Arras and found no activity around Cambrai. Major-General Harold Franklyn, commander of the British 5th Infantry Division was put in charge of Frankforce, improvised from his division, the 50th (Northumbrian) Motor Division (Major-General G. le Q. Martel) and the 74 tanks of the 1st Army Tank Brigade. Frankforce had moved to the vicinity of Vimy, north of Arras to reinforce the Allied garrison at Arras, for a counter-attack to the south, to cut German communications in the vicinity. Franklyn had detached a brigade each from the 5th Infantry Division and the 50th Motor Division, which had only two instead of the usual three brigades each. Franklyn was not aware of a French push northwards toward Cambrai and the French were ignorant of a British attack south toward Arras. Franklyn had support from the French Cavalry Corps (Lieutenant-General René Prioux) of the French First Army, which had fought at the Battle of Hannut (12–14 May) with its SOMUA S35 cavalry tanks. Many of the tanks of the 1ère Division Légère Mécanique (1ère DLM) had been destroyed in the earlier battles and the rest had been distributed among infantry divisions and could not be reassembled in time, despite threats to court-martial officers who refused to release the tanks. By 21 May, Prioux could only contribute a few tanks of the 3ième Division Légère Mécanique (3e DLM). The attack had been intended to be made by two French and two British infantry divisions but Frankforce comprised only about 15,000 men, after the detachment of brigades to the defence of Arras, the river to the east and into reserve. The defensive deployments left only the 6th and 8th battalions of the Durham Light Infantry (DLI), of 151st Brigade and one in reserve as well as the 13th Infantry Brigade, supporting the 4th Royal Tank Regiment (4th RTR) and the 7th Royal Tank Regiment (7th RTR), a force of about 2,000 men and 74 tanks, comprising 58 Matilda Is each of which was equipped with a machine gun and 16 Matilda II tanks, armed with a 2-pounder gun and a machine gun. ... clear and capture the area south of the River Scarpe from inclusive southern outskirts of Arras including Pelves and Monchy thence line of Cojeul river as far as Arras–Bapaume. an area of over 40 sq mi (100 km2). A force based on the 151st Infantry Brigade (Brigadier J. A. Churchill), was to advance from the west of Arras and move round to the Cojeul river; the 13th Infantry Brigade (Brigadier M. C. Dempsey) of the 5th Infantry Division was then to cross the river and advance southwards from the east side of Arras, to meet the 151st Infantry Brigade. A Right Column of the 7th RTR, 8th DLI, 365th Battery, 92nd Field Regiment RA, 260th Battery, 65th (Norfolk Yeomanry) Anti-Tank Regiment RA, a platoon of the 151st Brigade Anti-Tank Company and a motor-cycle scout platoon of the 4th Battalion, Northumberland Fusiliers and a Left Column of the 4th RTR, 6th DLI, 368th Battery, 92nd Field Regiment RA, 206th Battery, 52nd Anti-Tank Regiment RA, a platoon of the 151st Brigade Anti-Tank Company, one company and a scout platoon of the 4th Northumberland Fusiliers, were to cross the Arras–Doullens road at 2:00 p.m., which meant that the infantry would have to make an 8 mi (13 km) approach march to reach the jumping-off point, over roads filled with traffic and refugees. An advance by the French 3rd Light Mechanized Division (3e DLM), to screen the right flank of the British force was also poorly prepared with insufficient liaison, the French not being told of the timing and direction of the British attack. In the confusion an exchange of fire occurred between the French SOMUA S35s and British anti-tank guns near Warlus. An anti-tank gun was knocked out, British soldiers were killed and several French tanks hit before the mistake was discovered. During the evening, the French force with about six SOMUAs, engaged Panzer-Regiment 25 south of Duisans. British troops were retreating and by the time the German tanks broke through, the British had completed their withdrawal. The time taken by the infantry to reach the assembly points for the attack, through the refugee traffic on the roads, left little time to study their orders or reconnoitre. Marœuil was being bombarded when 50th (Northumbrian) Motor Division began the advance. The Right Column advanced at 2:30 p.m. and received small-arms fire from a wood. The column had to fight through Duisans, which was occupied by German infantry and French tanks on the right, reported tanks of Panzer-Regiment 25 of the 7th Panzer Division to the west. Two companies of the 8th DLI and two troops of the 260th Anti-Tank Battery were left to garrison the village and then the depleted column captured Warlus against stronger opposition and had to leave another garrison behind. Berneville to the south was also captured and a party of the 7th RTR and 8th DLI pressed on to the Arras–Doullens road, where they met part of Schützen-Regiment 7 and troops of the SS-Totenkopf Division. The British were forced under cover by machine-gun and mortar fire and the Luftwaffe attacked the Right Column for twenty minutes. The tanks kept going and reached Wailly, where they met troops of the SS-Totenkopf Division. The advanced guard suffered many casualties, retreated to Warlus and German tanks counter-attacked Warlus and Duisans. The German attacks were repulsed but managed to cut the road between the villages and the Right Column was unable to advance further. The Left Column also met resistance as soon as it advanced and fought its way through Schützen-Regiment 6 at Dainville. Another 2 miles (3.2 km) further on at Achicourt, six Matildas overran a line of anti-tank guns and then the column kept going to Agny and Beaurains, before a party reached Wancourt on the Cojeul. Infantry garrisoned Agny and Beaurains and the 4th RTR repulsed German counter-attacks by tanks and Schützen-Regiment 7, on the right flank of the 7th Panzer Division; the British then took ground south of Beaurains. Fighting went on all afternoon between Mercatel and Tilloy, where the tanks ran into a line of anti-aircraft guns and artillery, including 88 mm Flak guns and many of the tanks were knocked out. Individual tanks kept going but there were no reserves to consolidate and exploit the success and the advance was stopped in mutually-costly fighting. To the east of Arras, the 150th Infantry Brigade attacked across the Scarpe towards Tilloy and the 13th Infantry Brigade captured a bridgehead further east, ready for the second phase of the attack by Frankforce. Schützen-Regiment 6 was attacked, while advancing towards Agny, by a British column advancing from Dainville, which knocked out several vehicles and then more British tanks attacked from the north and caught the regimental convoys strung out along the road on their right flank. Panzerjägerabteilung 42 (42nd Anti-Tank Battalion) was rushed up to the area between Agny and Beaurains, but was overrun by the British tanks. After breaking through Schützen-Regiment 6, they attacked the transport of Schützen-Regiment 7 between Mercatel and Ficheux and then pressed on, throwing the motorised SS-Totenkopf Division into confusion and almost overrunning its headquarters. When the British tanks broke through the German anti-tank screen, the infantry stood their ground, encouraged by Rommel, even after the British tanks had rolled over their anti-tank guns. At around 4:00 p.m. (German time) II Battalion, Schützen-Regiment 7 was attacked by about 40 British tanks, which were engaged by artillery on Hill 111, roughly 0.62 mi (1 km) north-west of Wailly. German 88 mm Flak guns knocked out several Matilda I tanks. Some larger Matilda II tanks among the Matilda Is advanced through the artillery and anti-tank fire unscathed, German shells bouncing off their armour. The tanks destroyed the German anti-tank guns with return fire and rolled over them, killing the crews. The British tanks were eventually stopped short of Hill 111 by fire from another artillery battery but other tanks bypassed the area on both sides. On the southern flank of the 7th Panzer Division, the SS-Totenkopf Division was attacked and some SS troops fled in panic. The maximum depth of the British advance was 10 mi (16 km); 400 German prisoners had been taken, many tanks and much equipment had been destroyed but two Matilda IIs had been knocked out. 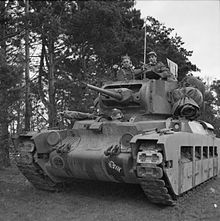 Only 26 Matilda Is were still operational and both tank battalion commanders had been killed; during the evening, Franklyn ordered both columns to withdraw. French cavalry remained near Warlus and were surrounded during the night, only a few tanks managing to break out. The infantry of the Right Column in Warlus were rescued, because six French tanks arrived with two armoured infantry vehicles and broke out through the German position on the Warlus–Duisans road. The garrison in Duisans also retired after dark, in the Bren carriers of the 9th DLI, covered by the anti-tank guns of the brigade reserve in Marœuil. The Left Column troops in Agny and Beaurains were bombed and then attacked by tanks as they retreated, one party missing the road (and eventually reaching Boulogne). The 7th Panzer Division laagered overnight south of Dainville, with advanced parties of infantry close to the south bank of the Scarpe. In 1953, L. F. Ellis, the British official historian wrote that the attack at Arras succeeded in easing German pressure round Arras and delaying the encirclement of the BEF. The ground between Arras and the Cojeul was re-occupied and there was no serious German attack on the town, Rommel making the alarmist claim that the attack was made by five divisions. Beyond the delay imposed on German moves and the many casualties inflicted on the Germans, the attack was bound to fail without a force sufficiently powerful to follow up and consolidate the captured ground. Rundstedt, the commander of Army Group A, had intended that the panzer divisions should rest after the exertions on 20 May. In 1978, Cooper wrote that the attack at Arras led to the German higher commanders to continue to attack northwards, to capture the channel ports. Attacking to the south-west was rejected and OKH ordered Panzergruppe von Kleist to capture Boulogne and Calais, about 50 mi (80 km) away. Apprehension of another Allied attack caused Rundstedt to order Panzergruppe Hoth to remain in position, the XLI Corps (Reinhardt) sent a division eastwards as a precaution and Kleist diverted the 10th Panzer Division and parts of the 1st Panzer Division and the 2nd Panzer Division from the XIX Corps (Guderian) to hold the bridgehead over the Somme, which slowed the advance to Dunkirk from the beginning. The XIX Corps attacked again at 8:00 a.m. on 22 May but was still hampered by a "near paralysis" in the German command, Rundstedt ordering that the instructions from OKH were to be ignored and the advance on Boulogne and Calais would have to wait. At 12:40 p.m. Rundstedt countermanded his own order but for five hours, the panzers had waited on the Amache river. In 2005, Frieser wrote that Allied planning was notable for its slowness to exploit the opportunity to cut the panzer corridor, when there were insufficient German motorised divisions to consolidate behind the panzer divisions and the un-motorised divisions were several days march away. The corridor was only 25 mi (40 km) wide at Arras and vulnerable to a pincer movement that could have achieved a Clausewitzian counter-encirclement and cut off the panzers on the channel coast. Halder had been willing to run the risk, because of the incapacity of the Allies to achieve a fast tempo of operations. The Allied attack was contained, because Rommel improvised a gun line of anti-tank guns and anti-aircraft guns, that managed to stop some of the lighter British tanks. Rommel also used wireless to order another gun line quickly to be set up with artillery and several 88 mm Flak 36 anti-aircraft guns much further back, which knocked out 24 tanks in a few minutes on the flat ground between Mercatel and Tilloy. Just after 6:00 p.m., Ju 87 Stukas of Fliegerkorps I and VIII arrived and made 300 attacks on the retiring tanks by 8:30 p.m. Rommel ordered Panzer-Regiment 25 to return and cut off the British tanks but south of Duisans it met French tanks covering the British right flank and only pushed through after a long and costly engagement. When the German tanks had broken through a British anti-tank gun line between Duisans and Warlus, the British tanks had already returned; the British attack had turned into a disaster and only 28 of the 88 tanks committed returned to their start line. Rommel noted in his diary that his division had lost 89 men killed, 116 wounded and 173 men missing and captured, as many as the first four days of operations, which included the Meuse crossing, although 90 of the missing returned to their units. In 1953, Lionel Ellis, the British official historian, quoted the 7th Panzer Division war diary, which recorded the loss of nine medium and several light tanks, 378 men killed or wounded and 173 missing; British records noted some 400 Germans taken prisoner. The British lost around 100 men killed or wounded in the attack, it is unknown how many French soldiers became casualties in the engagement. Frankforce lost sixty of the 88 tanks in the attack. The main French attack on Cambrai took place on 22 May and like the attack on 21 May, the force involved was much smaller than intended. The Tenth Army commander, General Robert Altmayer, should have attacked with the V Corps and tanks of the Prioux Cavalry Corps but only an infantry regiment and two depleted tank battalions could be assembled in time. The panzer divisions had moved on, only small detachments having been left in Cambrai and the marching infantry divisions were not due until later in the day. The French attack reached the fringe of Cambrai only to be stopped by the Luftwaffe and forced to retreat. Frieser wrote that the Franco-British counter-attack at Arras, had a disproportionate effect on the Germans because the higher commanders were apprehensive about flank security. Ewald von Kleist, the commander of Panzergruppe von Kleist perceived a "serious threat" and informed Colonel-General Franz Halder (Chief of the General Staff of Oberkommando des Heeres OKH), that he had to wait until the crisis was resolved before continuing. Colonel-General Günther von Kluge, the 4th Army commander ordered the tanks to halt, with the support of Rundstedt. On 22 May, when the attack had been repulsed, Rundstedt ordered that the situation at Arras must be restored before Panzergruppe von Kleist moved on Boulogne and Calais. At OKW the panic was worse and Hitler contacted Army Group A on 22 May, to order that all mobile units were to operate either side of Arras and infantry units were to operate to the east. The battle honour Defence of Arras was awarded to the British units involved in the counter-attack. ^ a b Ellis 2004, pp. 75–87. ^ Ellis 2004, pp. 87–89. ^ Bond 1990, p. 66. ^ Frieser 2005, pp. 278–279, 280. ^ Ellis 2004, p. 105. ^ Frieser 2005, p. 280. ^ Frieser 2005, p. 275. ^ Horne 1982, p. 564. ^ Ellis 2004, pp. 83, 87–90. ^ Frieser 2005, pp. 281–282. ^ Horne 1982, pp. 563–564. ^ a b Ellis 2004, pp. 90–91. ^ Forczyk 2019, p. 208. ^ Frieser 2005, p. 283. ^ a b Ellis 2004, p. 90. ^ Frieser 2005, pp. 284–285. ^ Ellis 2004, pp. 91–92. ^ Frieser 2005, p. 284. ^ Horne 1982, p. 566. ^ Frieser 2005, pp. 276–277. ^ Frieser 2005, pp. 275–276. ^ Ellis 2004, pp. 91–92, 95. ^ a b Ellis 2004, pp. 94–95. ^ Cooper 1978, pp. 227–228. ^ Frieser 2005, pp. 277–278. ^ Frieser 2005, pp. 276–277, 285. ^ Harman 1980, p. 101. ^ Frieser 2005, p. 277. ^ Ellis 2004, pp. 94–97. ^ Frieser 2005, p. 285. ^ Frieser 2005, p. 286. ^ Frieser 2005, pp. 287–288. ^ Rodger 2003, p. 427. Bond, Brian (1990). Britain, France and Belgium 1939–1940 (2nd ed.). London: Brassey's. ISBN 978-0-08-037700-1. Corum, James (1997). The Luftwaffe: Creating the Operational Air War, 1918–1940. Lawrence: University Press of Kansas. ISBN 978-0-7006-0836-2. Ellis, Major L. F. (2004) [1st. pub. HMSO 1954]. "The Counter-Attack at Arras". In Butler, J. R. M. (ed.). 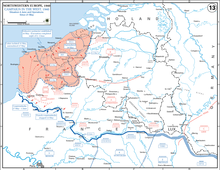 The War in France and Flanders 1939–1940. History of the Second World War United Kingdom Military Series. Naval & Military Press. ISBN 978-1-84574-056-6. Retrieved 31 August 2015. Forczyk, R. (2019) . Case Red: The Collapse of France (pbk. Osprey, Oxford ed.). Oxford: Bloomsbury. ISBN 978-1-4728-2446-2. Harman, Nicholas (1980). Dunkirk: The Necessary Myth. London: Hodder and Stoughton. ISBN 978-0-340-24299-5. Horne, Alistair (1982) . To Lose a Battle: France 1940 (Penguin repr. ed.). London: Macmillan. ISBN 978-0-14-005042-4. Guderian, Heinz. Panzer Leader (2001 ed.). New York: Da Capo Press. ISBN 978-0-306-81101-2. This page was last edited on 3 April 2019, at 08:26 (UTC).